From Picture-Perfect Reception Ensembles To Comfy Fushion Dresses, Get Envious Outfits From This Chetpet Boutique! Love Indian outfits? Scouting for new ones? Then rejoice! Because we’ve found a place that has multiple ready-made solutions (beautiful ones at that) for all your ethnic woes and needs. Located on Harrington Road, Envy Me offers an extensive collection of every possible ethnic outfit you could ever need. From flowy kurtas to full-length gowns, you can get it all here. They also have a mix and match section that includes tops, shararas, dhotis, skirts, and palazzos starting from INR 450. 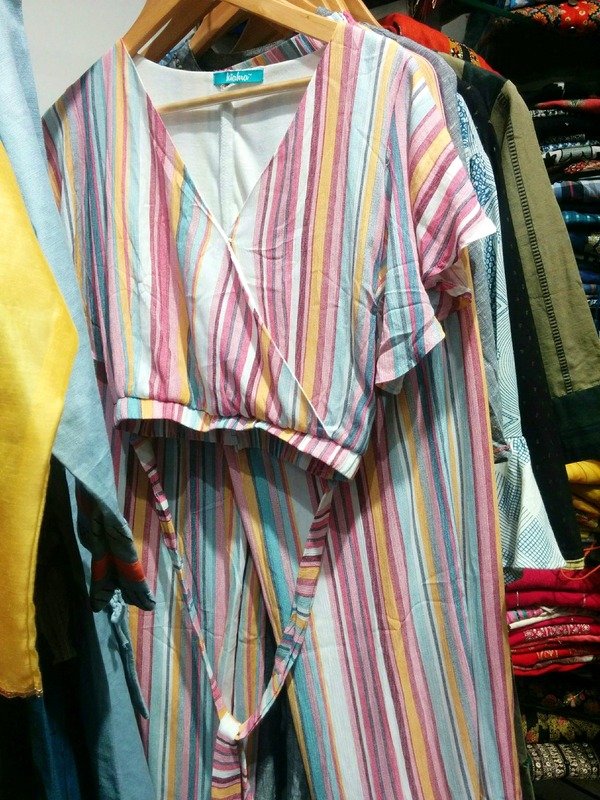 Their fusion section that includes sets of tops and palazzos, short kurtas and pants looks really comfy and starts from INR 800. These are mostly available in cotton, rayon, and muslin and can perfectly fit your summer casuals bill. We particularly loved the vast sizes they have across all varieties. From kurtas and tops to gowns, salwars and dresses, Envy Me has sizes in all categories ranging from S to XXXL. In fact, everything here is segregated according to size, so you can easily pick out what you like from the rack. While casuals occupy one half of the store, the heavier party and wedding ensembles occupy the remaining half. Shimmery gowns, flowy asymmetrical ghaghras, cocktail outfits, heavy anarkalis, Envy Me has everything. Starting from INR 4000, these can go up to INR 40,000, depending upon the work. They also have a stylist to help you out with finding exactly what you’re looking for and tailors for fittings. And for spoiling you a little more, Envy Me also has the perfect accessories to go with your outfits. Choose from an array of quirky jhumkas, studs, chaand balis and more along with potli bags, embellished clutches with intricate work and embroidery with earrings starting from INR 300 and clutches starting from INR 1500. Fancy right?